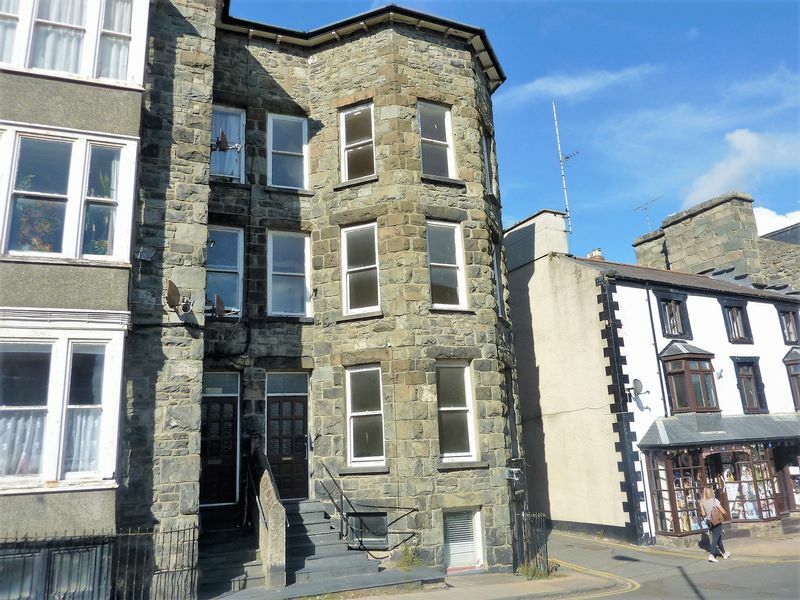 A FANTASTIC INVESTMENT OPPORTUNITY IN A WONDERFUL LOCATION WITH HARBOUR/MOUNTAIN VIEWS - Forming half of a character double fronted stone building in a sought after position close to 'The Quay', the Harbour and all the town's amenities, this is an opportunity to purchase a freehold property comprising 3 apartments (Ground floor 1 bed, First floor bedsit, 3 bed duplex apartment over the 2nd/3rd floors + a former shop to the basement). 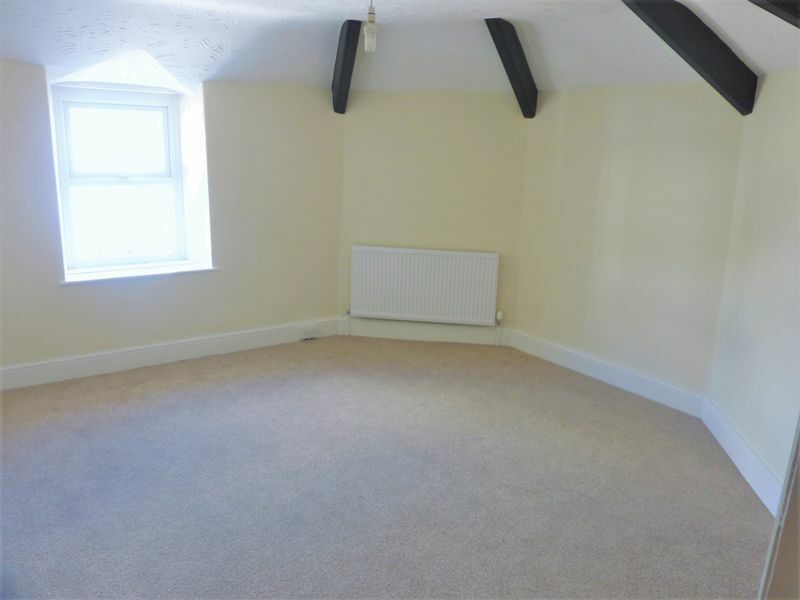 Our client has complied with the up to date fire precautions and all the apartments benefit from independent utilities and their own combi gas fired central heating systems. 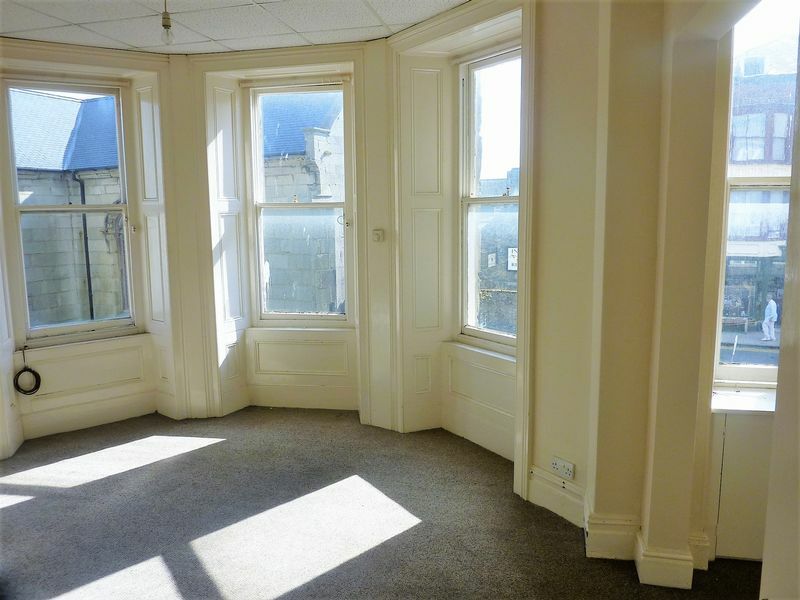 In terms of potential yield, we estimate that the building has potential to generate around £17,760.00 PA. 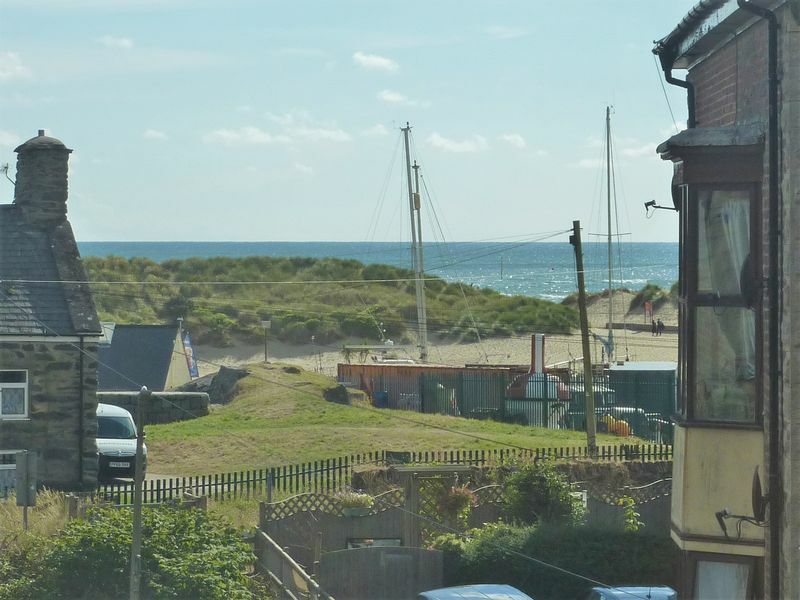 In our opinion, the property offers tremendous potential as holiday lets given the proximity to the beach, harbour, restaurants and so forth but also may be perfect for a buyer looking to live in one of the apartments whilst generating a healthy income from the remaining units. 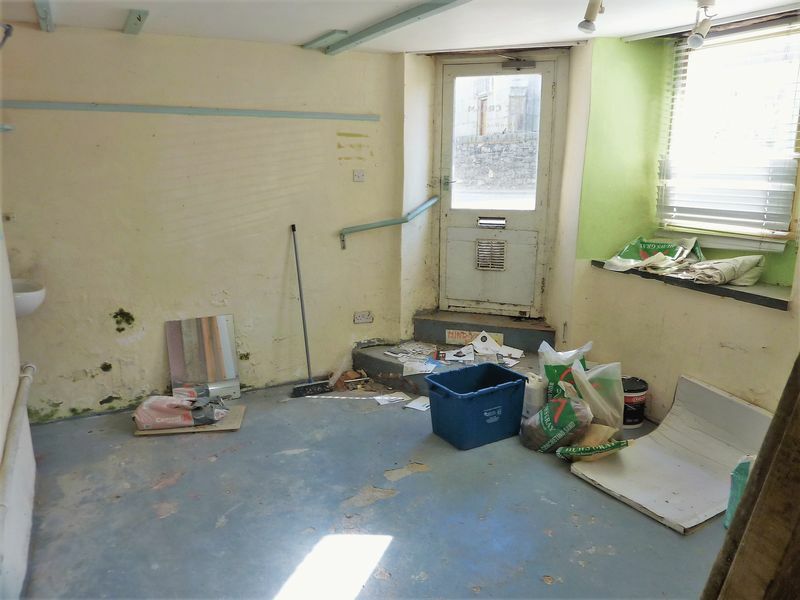 The property is presently vacant with no upward chain. 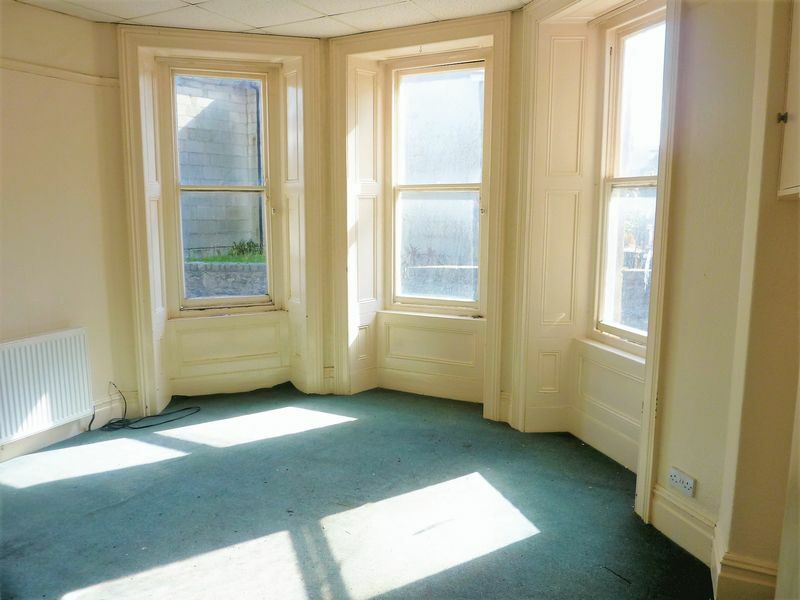 PLEASE NOTE - Our client also owns the adjoining premises and would consider selling the entire building subject to the usual negotiation. 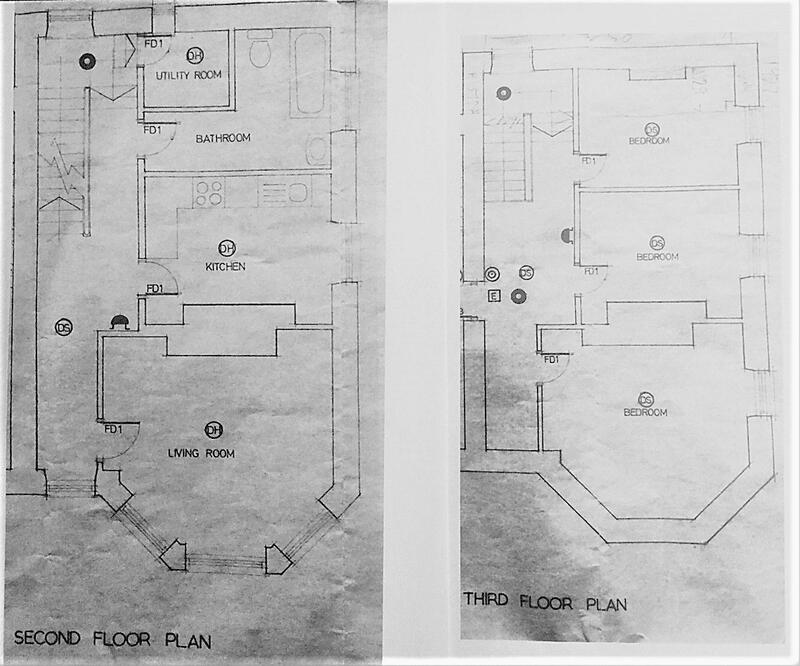 Fire escape access through to neighbouring basement. 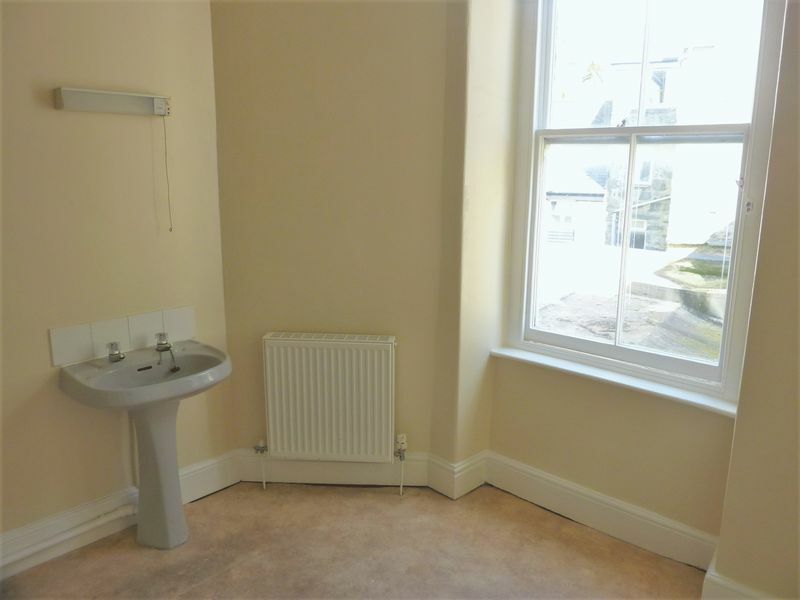 Window (side), low flush WC, wash hand basin. 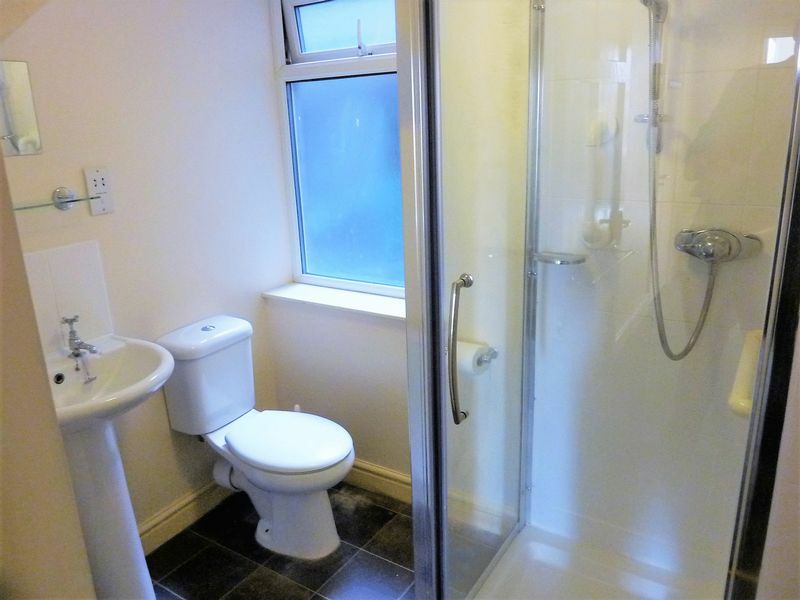 Outer door, 2 windows (front), 2 wash hand basins, hot water boiler. 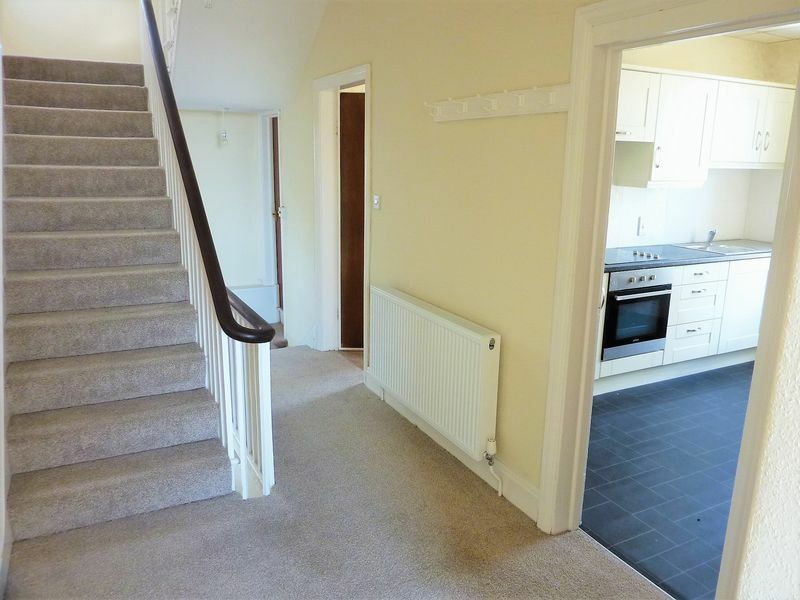 Communal Hallway, door to right opening into ..
Thermostatic control for the heating, radiator. 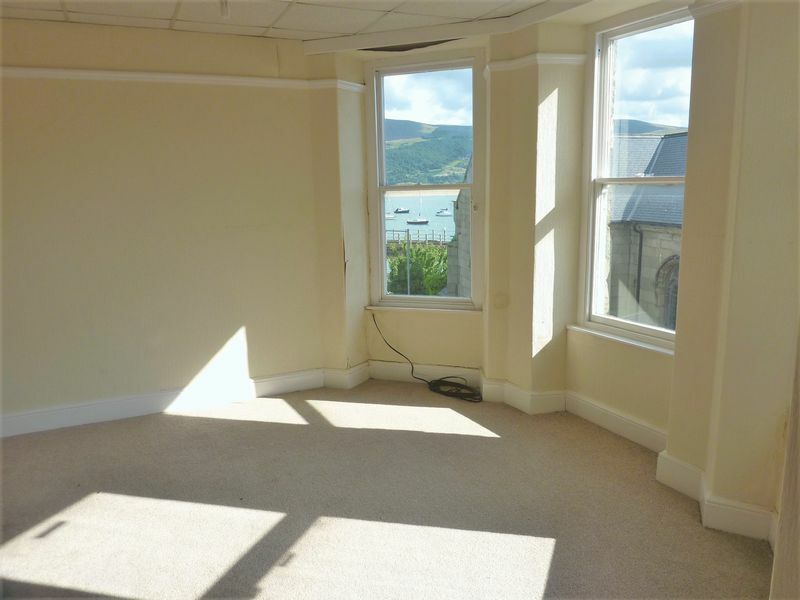 Three window bay, (view to harbour & mountains), TV point, telephone point, radiator. 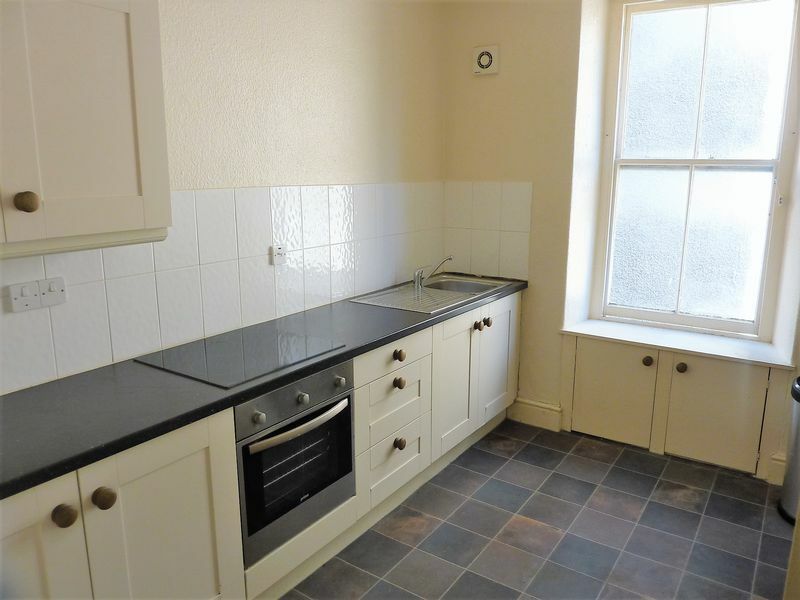 Window (side), modern fitted kitchen comprising slate effect work surfacing, single drainer stainless steel sink unit with a mixer tap, tiled splash back, wall and base kitchen units, 4 ring ceramic hob, built-in fan assisted oven, tile effect flooring, space and plumbing for a washing machine, space for a small table. 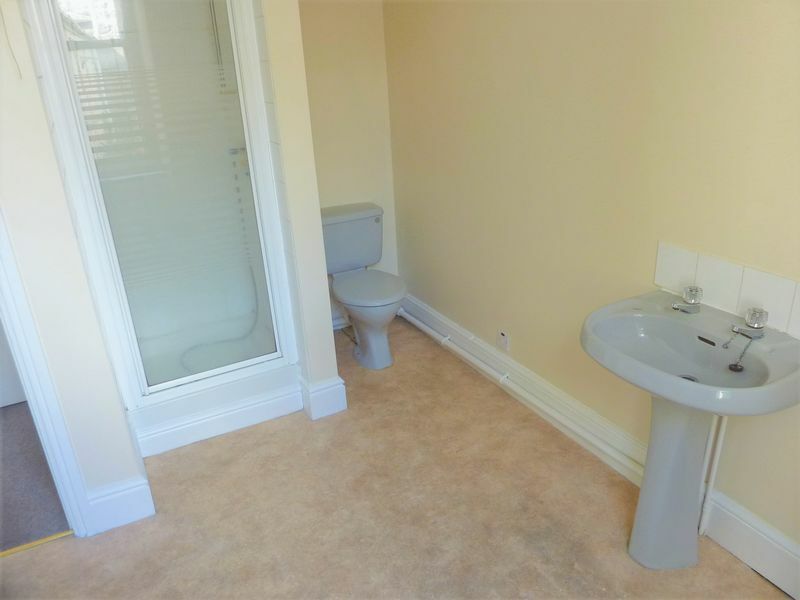 Window (rear), tiled shower cubical with a plumbed-in 'Mira' shower, pedestal wash hand basin with a tiled splash back, low flush WC, radiator, mirror with shaver point and light. 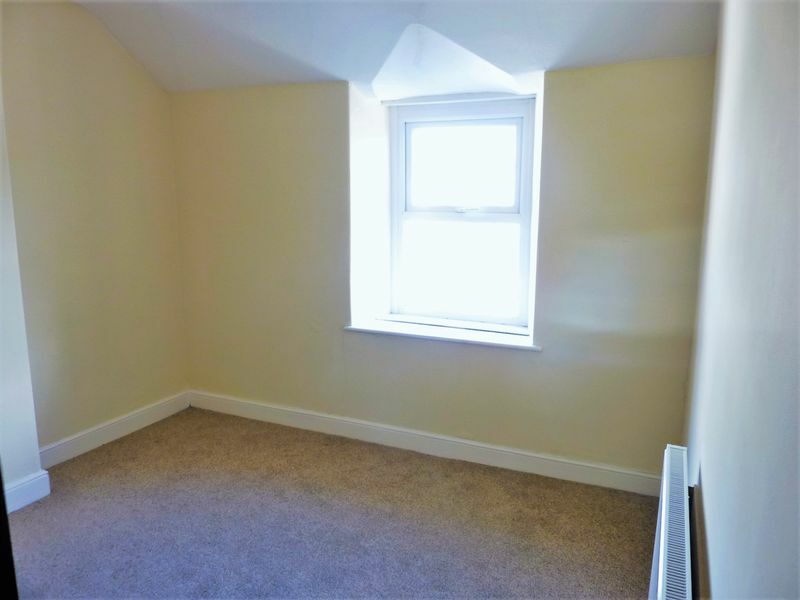 Spacious room with a 3 window bay (front) with a further window (front) to the smaller adjoining open plan room (front view to the beach with side view to the harbour and mountains). 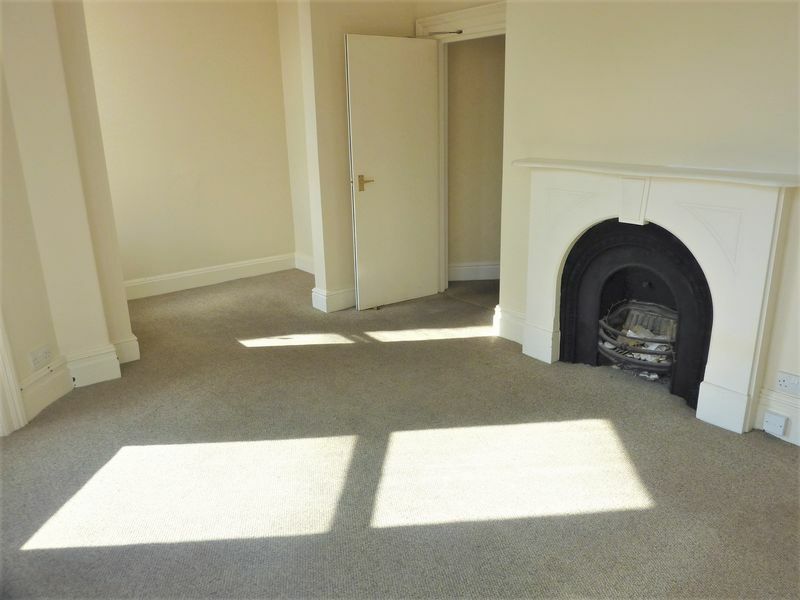 Painted slate surround cast Iron feature fireplace, TV point, telephone point, radiator. Meter cupboard. 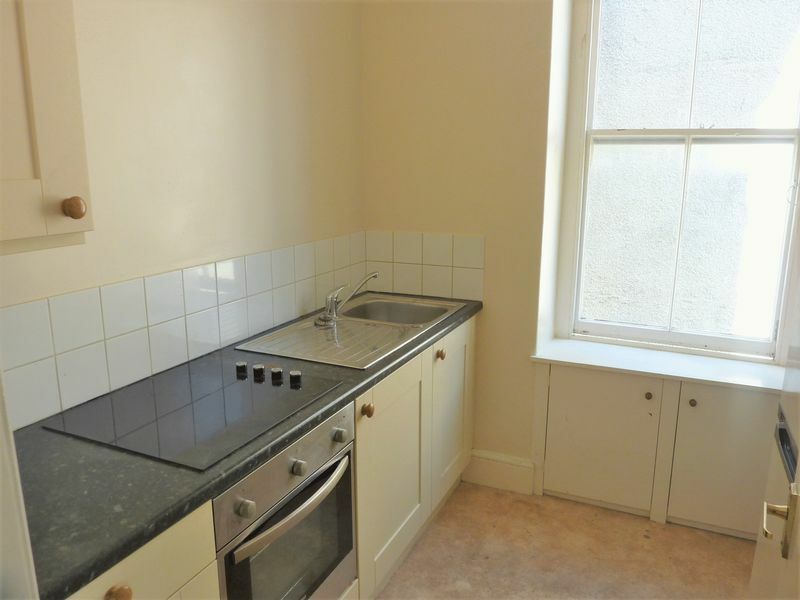 Window (side), modern fitted kitchen comprising base units and single wall unit, granite effect work surfacing, tiled splash back, single drainer stainless steel sink unit with a mixer tap, 4 ring touch control ceramic hob, built-in fan assisted oven, space and plumbing for a washing machine, space for a fridge/freezer. Combi gas fired boiler. 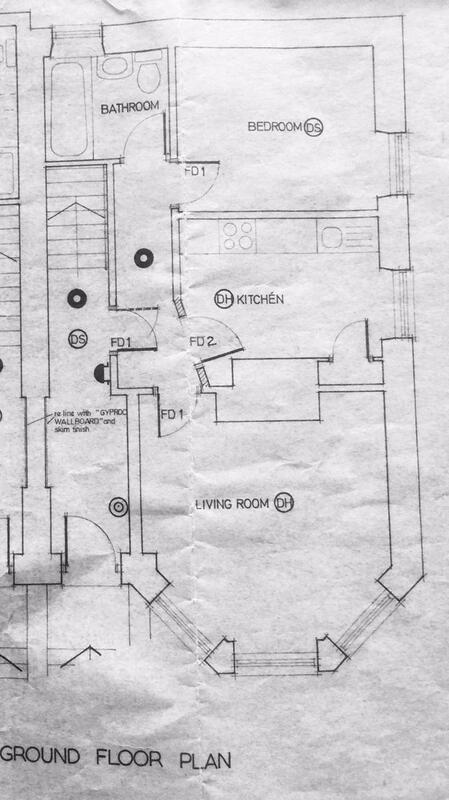 Door from first floor landing to private staircase to the 2nd floor landing. 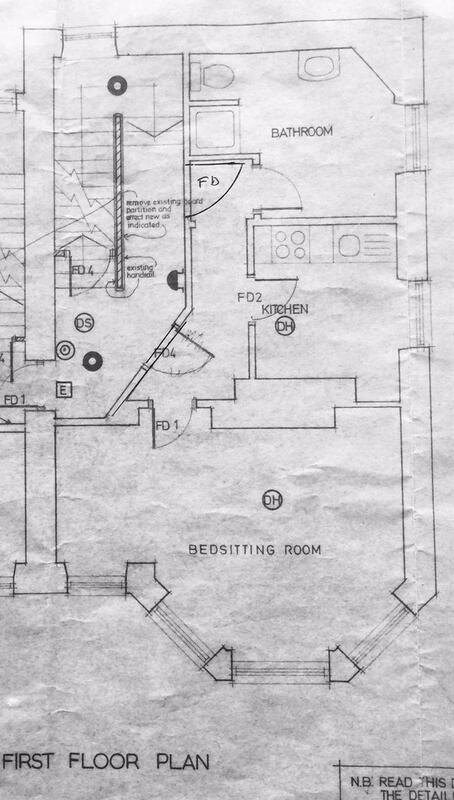 window (rear), further window (front) on main landing, meter cupboard, cloaks rail. 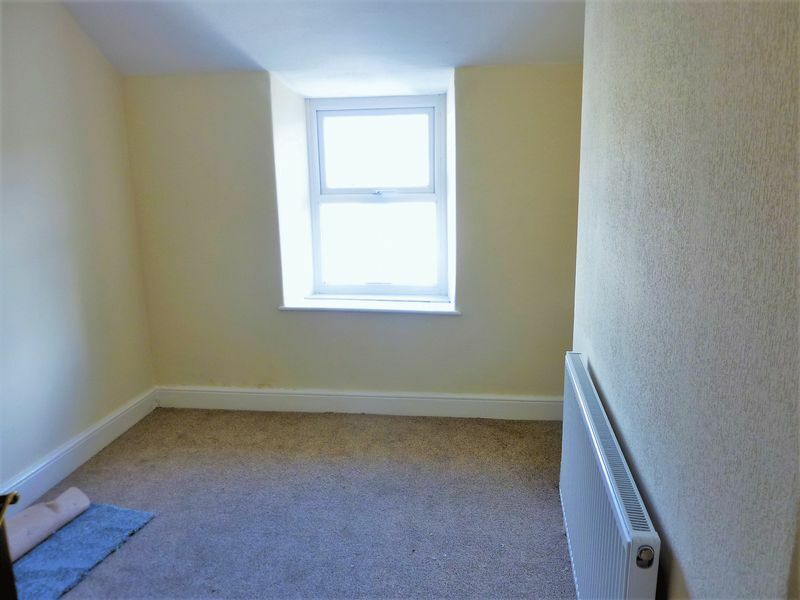 Small walk in room, window (rear), space and plumbing for a washing machine. 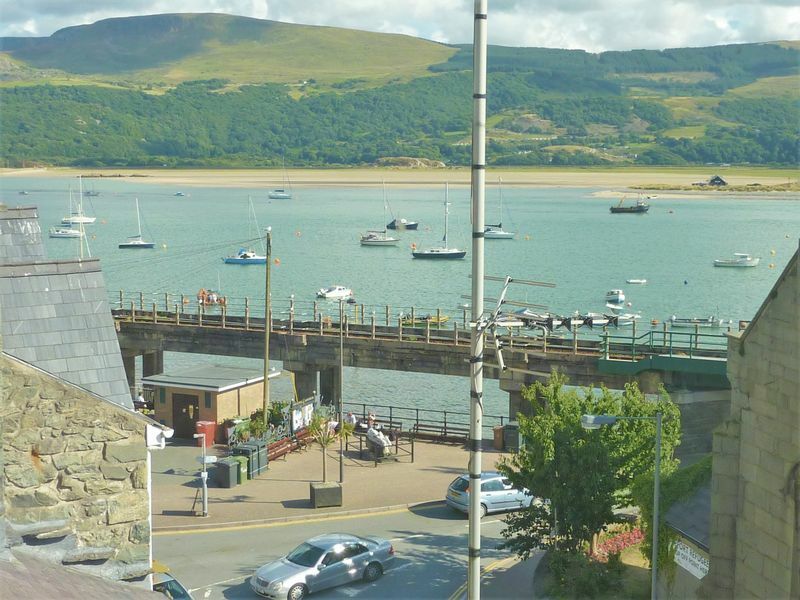 3 window bay (front), view to harbour, mountains and to the beach, picture rail, radiator. 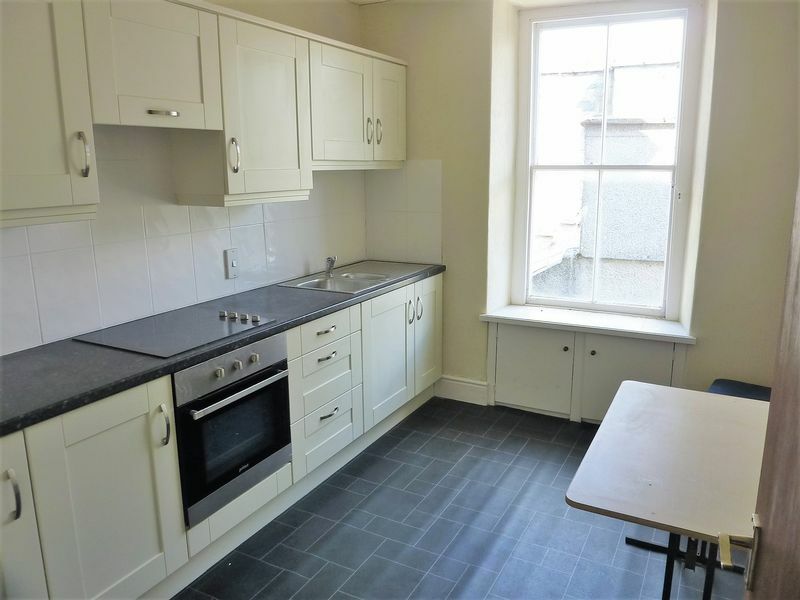 Window (side), modern fitted kitchen comprising range of wall and base units, granite effect work surfacing, tiled splash back, single drainer stainless steel sink unit with a mixer tap, ceramic 4 ring electric hob, built-in fan assisted oven, meter cupboard. 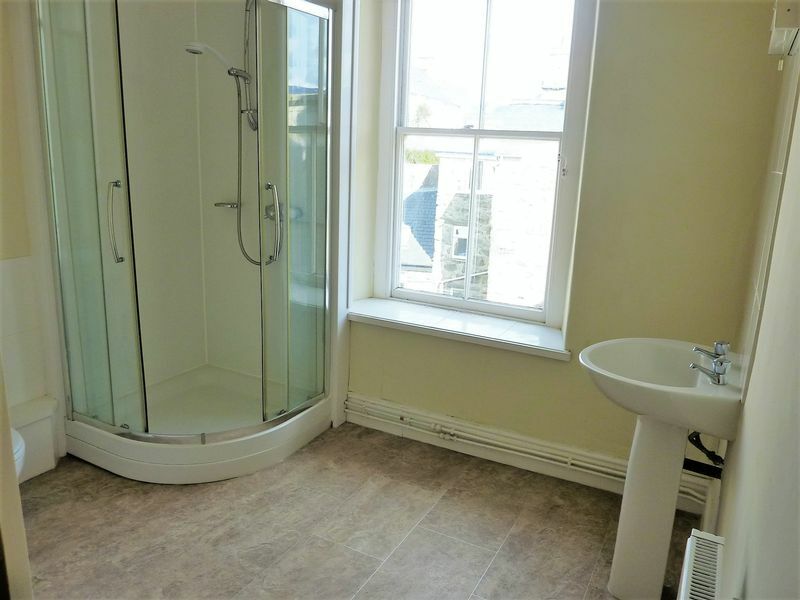 Window (side), shower cubical with a plumbed-in 'Mira' shower, easy wipe splash back, double sliding glazed shower doors, pedestal wash hand basin with a tiled splash back, low flush WC, shaver light, radiator, ceiling down lighters, extractor fan. 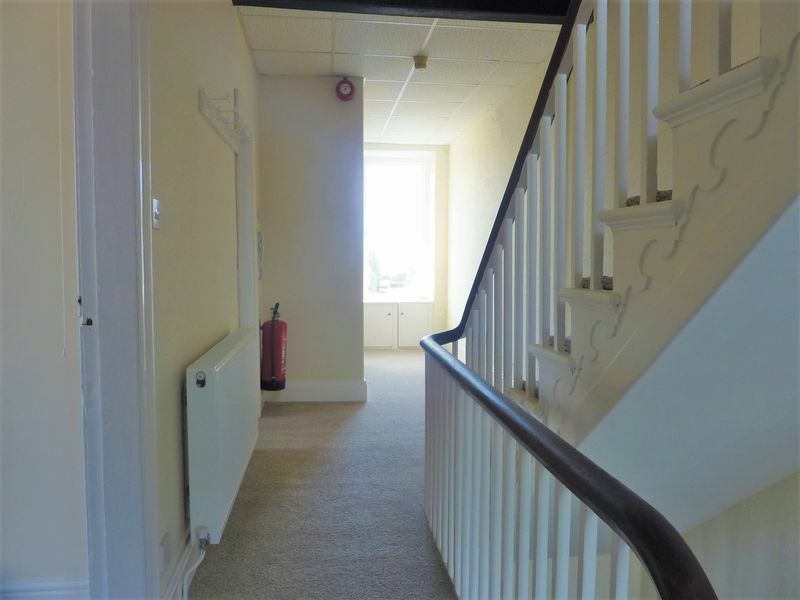 Stairs to the 3rd floor landing (top floor). 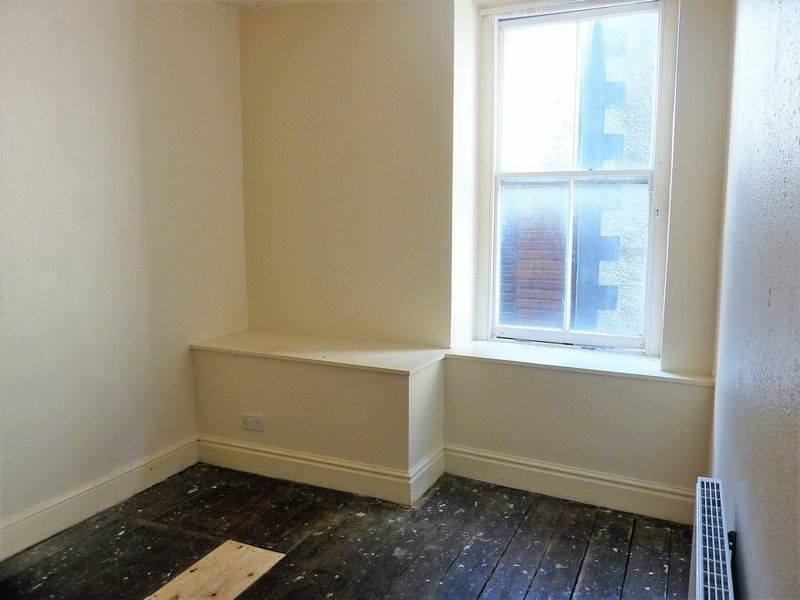 Window (rear), radiator, fire escape door. 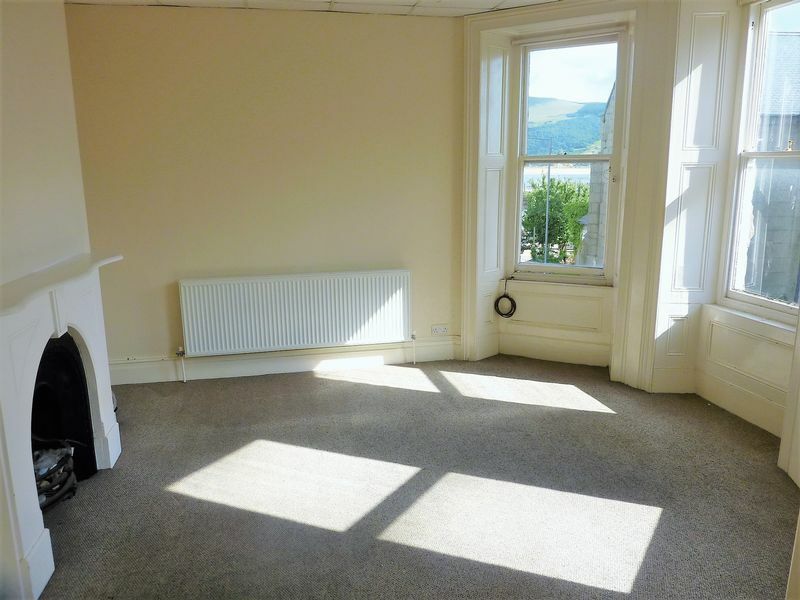 Window (side), view to harbour & mountains, radiator. 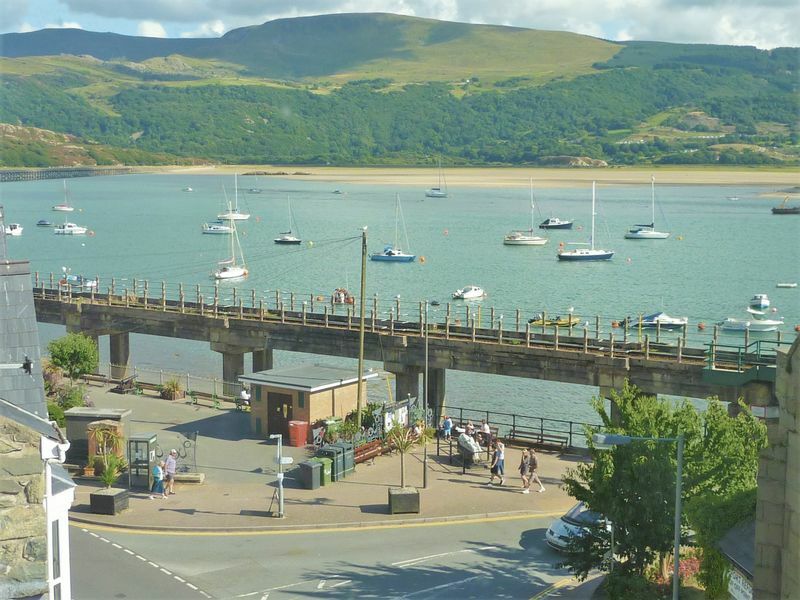 Located on the west coast of North Wales, Barmouth lies between a mountain range and the sea on the Mawddach Estuary and is arguably one of the most beautiful locations in Wales. 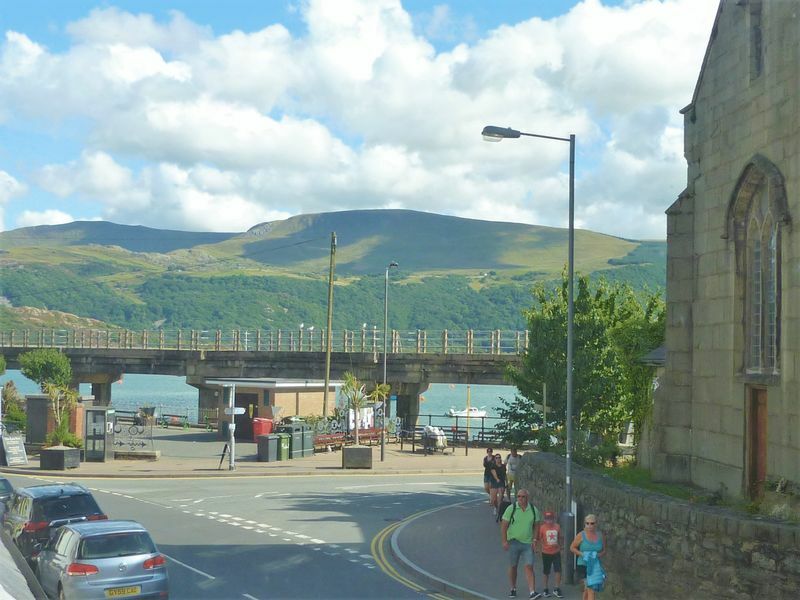 The town rests on the south west corner of the Snowdonia National Park and is steeped in a history rich with connections to the shipping and slate industries. 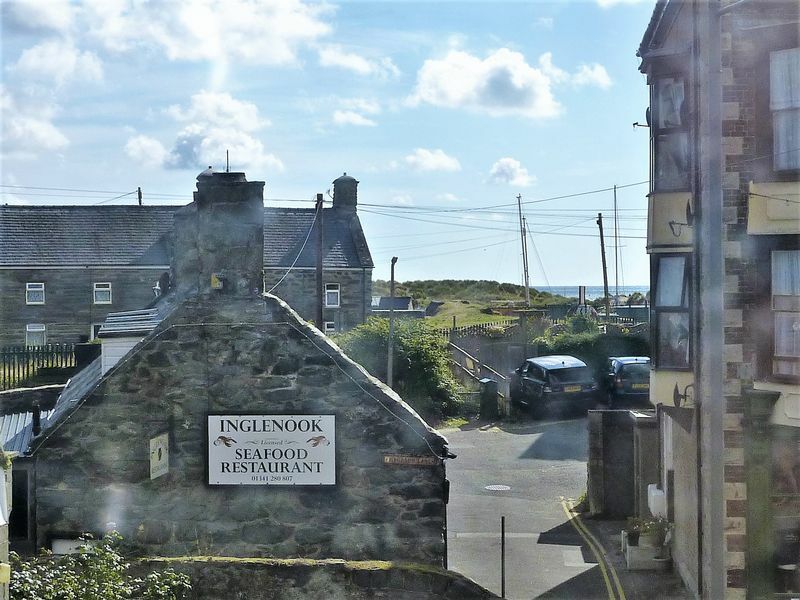 The old town offers a good selection of restaurants, shops, public houses, hotels and other accommodation. 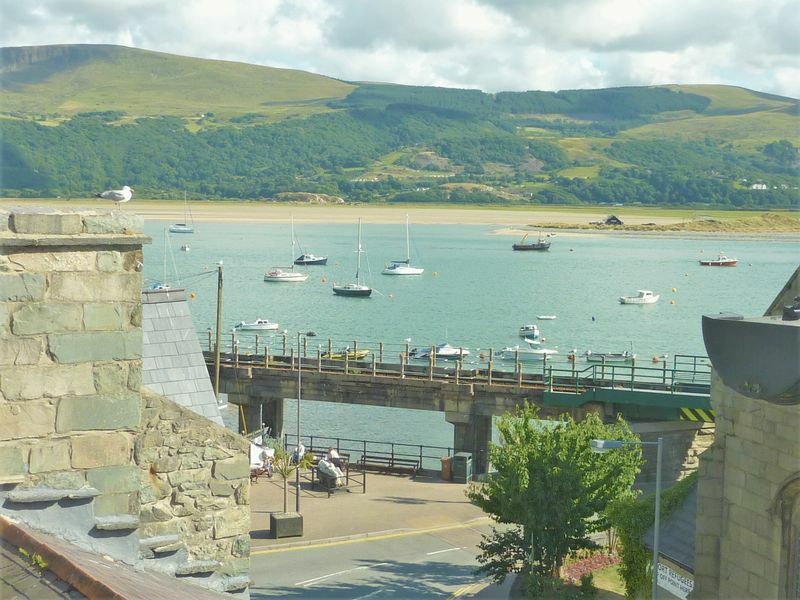 The harbour is beautiful with its spectacular bridge spanning the estuary and the large golden sandy beach is renowned as one of the finest in Cardigan Bay. 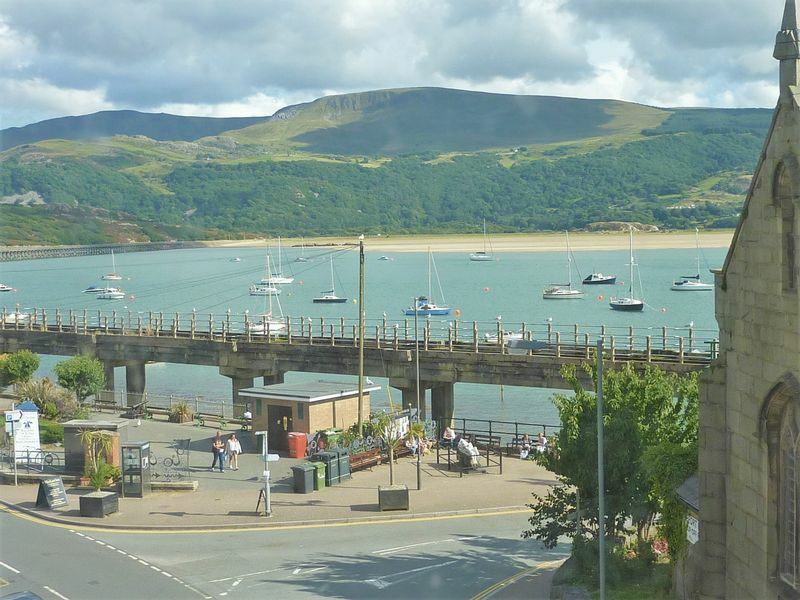 Midland Flats are located in Church Street close to the much sought after 'Quay' and benefit from views from most rooms towards the harbour and the Cader Idris mountain range beyond. 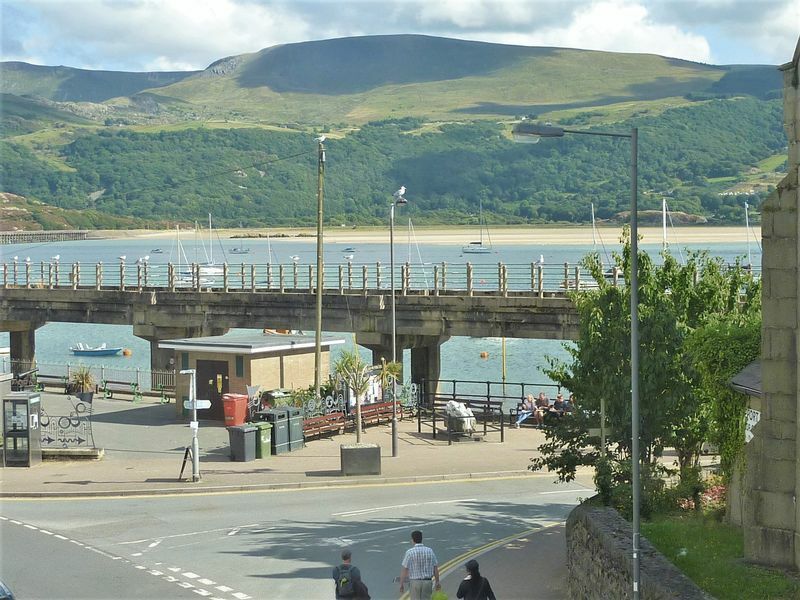 Barmouth's wonderful sandy beach is literally just around the corner.